Our LLYC Panama office was opened in 2002. We currently have a sizeable team of consultants specialising in the development of communication strategies aimed at leading companies in industries such as infrastructure, technology, finance, energy, the automotive industry and health. With a firm commitment to offering a quality service to our clients, we have been able to maintain our position as the leading communication consultancy firm in the Panamanian market. We have thus enjoyed loyalty from such prestigious clients at both national and international levels as Biomuseo, Copa Airlines, Deloitte, Gas Natural Fenosa, Grupo Corporativo Pérez, Hilton Panamá, Multibank, SAP, Supermercados Xtra, Grupo SLI, Sonda, Visa and Waldorf Astoria Panamá. 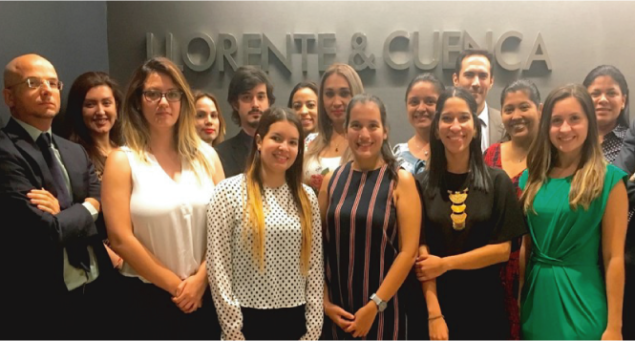 At the same time, we have incorporated new clients currently involved in major projects in the country, such as adidas, Banesco, Ciudad del Saber, Empresas Bern, Marsh Semusa and Oxford Poverty & Human Development Initative. Our team has accumulated vast experience in Corporate Communication, Digital Communication, Crisis Communication, Litigation Communication, Talent Engagement and Public Affairs, which has been key to our well-deserved position as benchmark in the sector.